From kindergarteners to high school seniors, South Jersey students are learning how to differentiate serious bullying, harassment and intimidation from the more run-of-the-mill conflicts that occur in the course of the school day. The most tangible effect of New Jersey’s new Anti-Bullying Bill of Rights has been the introduction of the term HIB—an acronym for harassment, intimidation and bullying—into the everyday language of students and parents. But the onerous reporting has also created new layers of bureaucracy, draining staff of time and resources for other worthy educational endeavors, and placing disciplinary decisions in the hands of school board members. In fact, the law is considered so burdensome on already cash-strapped schools that a panel of judges earlier this year ruled it an “unfunded mandate,” compelling lawmakers to appropriate $1 million for anti-bullying programs. Even with the added funds, however, many are skeptical the law will fulfill its ambitious goals. But Jennifer DiStefano, the anti-bullying coordinator at Cherry Hill High School East, says the fact that every reported HIB incident must be fully and carefully investigated is a victory for victims. The law, which was adopted in 2010 after a series of highly publicized bullying-related suicides nationwide, including the death of Rutgers freshman Tyler Clementi, went into effect in September. However, its very existence was threatened earlier this year by the unfunded mandate decision, arising from a series of specific procedures for investigations, staff and training for all schools, while offering no money for implementation. In March, both the Assembly and Senate agreed to add $1 million in the form of grants to schools for use in anti-bullying measures. The lawmakers also created a new commission to review the law and districts’ future needs to be successful. Whether the funding will be enough is questionable. A recent survey of school officials found the law creates significant extra costs, according to New Jersey School Boards Association. More than 90 percent of surveyed districts stated they required up to $80,000 for training alone, while investigations and reports took an average of approximately 200 hours per month of staff time, taking educators away from tasks such as substance abuse prevention, college and career counseling. Moreover, says Moorestown lawyer John Comegno, the act forces school board members to “micromanage” affairs that are more appropriately dealt with by educators. For example, a dispute between two second-graders saying inappropriate words on the bus may have ended in the past with the children undergoing some counseling, says Comegno, whose firm—the Comegno Law Group—represents several dozen local school districts. The incident now becomes a full-blown report involving the superintendent, school board and reporting to the state level, while requiring parents to have a chance to challenge the findings. Even with its flaws, educators acknowledge good coming out of the law—starting with the requirement of education for every teacher and student. For the Lenape Regional High School District, it was an opportunity to get creative. Educators produced a movie using clips from popular TV shows, films and music videos to call attention to the powerful role bystanders can play in addressing HIB incidents. The educators made a point to give kids key phrases to use, such as “Hey, that’s not cool,” instead of remaining silent in unsettling situations. Moreover, the law has brought to light the difference between conflict and more serious harassment, intimidation and bullying, says Carol Birnbohm, Lenape Regional’s anti-bullying coordinator. HIB incidents are also considered an opportunity to educate, she adds. Teachers will meet privately with students to explain why their actions and words were wrong. The hope is to deal with such incidents before they become major situations, she says. And at Lenape High School, the school year also kicked off with an assembly featuring Carlos Ojeda Jr., a nationally recognized speaker who focused on self-determination and respect. Fahvyon Jimenez, a Lenape senior who is a student coordinator with the Gay, Lesbian and Straight Educational Network, applauded his school for taking such a proactive approach to the law’s education mandate. “Lenape was a pretty safe environment to begin with, but I do feel safer knowing what the consequences are if I feel harassed,” says Jimenez, who is openly gay. Lenape teacher Beth Taubman says the value of the law is to give educators a framework for disciplinary measures, and she and her colleagues have been well trained in strategies to handle situations as they arise. She’s hopeful that education programs will continue to focus on teaching tolerance. Still, some students who have experienced bullying find little comfort in the new law. Willhouse, who has been called hurtful slurs, been spit upon, had water dumped on him in the hallways by tormentors, and experienced cyber-threats on Facebook, says reporting such incidents in the past has been futile. The constant torment affected his grades, caused him to miss a lot of school during his junior year, and attributed to his hospitalization for depression. Birnbohm says, while the district is prohibited from commenting on a student’s situation, every incidence of reported bullying is fully investigated. Substantiated incidents lead to remedial actions and consequences. For Willhouse, what has improved the situation, he says, has been supportive friends and teachers, his involvement in the school’s theater program, and his coming to terms with his own identity. Much of the bullying has diminished, he says, probably since he no longer reacts to his tormentors. The Marlton teen has also found strength in speaking publicly about his experiences. He will be a featured speaker at an anti-bullying rally June 1 at Gibson House in Marlton, which is being sponsored by “Hey Marlton … It Gets Better,” a grassroots organization newly formed by Marlton parents and teens to educate their peers and share practical solutions. The anti-bullying law is being celebrated for addressing any and all reported issues, yet it’s virtually useless to victims who are too intimidated to report their torment. For Sandy, a Cherry Hill mother of four, the new anti-bullying law would be a powerful antidote—if only her two daughters, who have experienced serious bullying this year, were not too afraid to report their situations to authorities. Like countless other victims of bullying, the two girls—one in middle school and one in high school—are so afraid of retaliation from their tormenters that they won’t report the abuse. “The laws are there, but [the girls fear] the initial response may add fuel to these fires and leave them feeling even more burned,” says Sandy, summing up both daughters’ response to her many pleas to get involved. 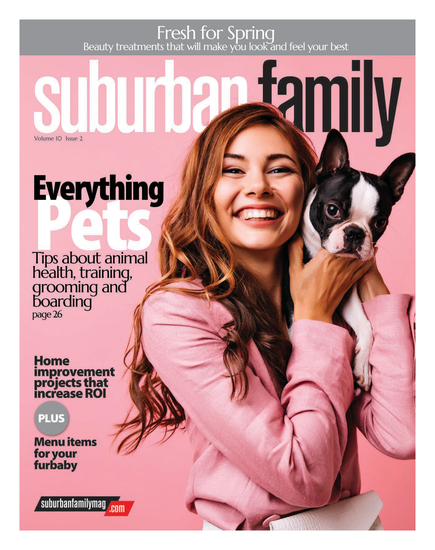 The fear that bullies will only step up their cruelty if the situation is reported is a big reason bullies get away with their deeds and can lead to more serious situations, says Jennifer DiStefano, Cherry Hill High School East’s student assistance coordinator. Fortunately, the new law actually gives educators more power to punish harshly in the case that it does. With the law still so new, kids may not have faith in the system, but DiStefano thinks that will change over time as educators have more success curbing bullying. DiStefano says there are often ways to cover up for the victim or their parents. For example, she can confront the alleged bully by saying the incident was observed on video monitors or by a teacher. To convince a victim to take the leap of faith, DiStefano appeals to logic. If the child has not been able to stop the bullying, and it hurts so bad that he or she dreads going to school, something has to be done about it. “My mantra is, ‘If you want something to stop, we’re going to help try to get it stopped,’” she adds.